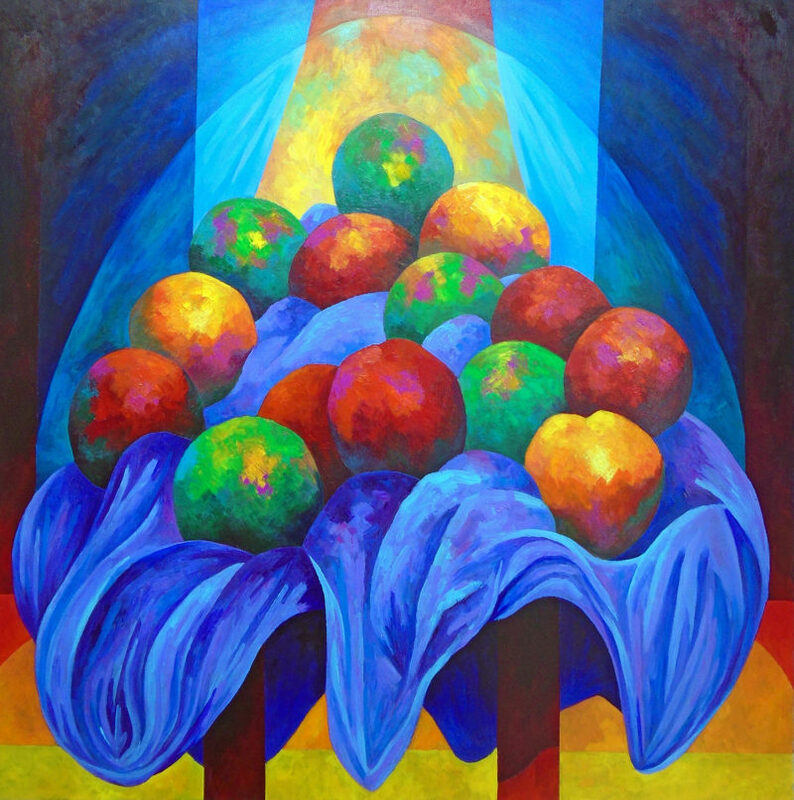 An acrylic on stretched canvas painting of apples and oranges sitting on a table covered in a purple cloth. The scene is illuminated by a light from above. 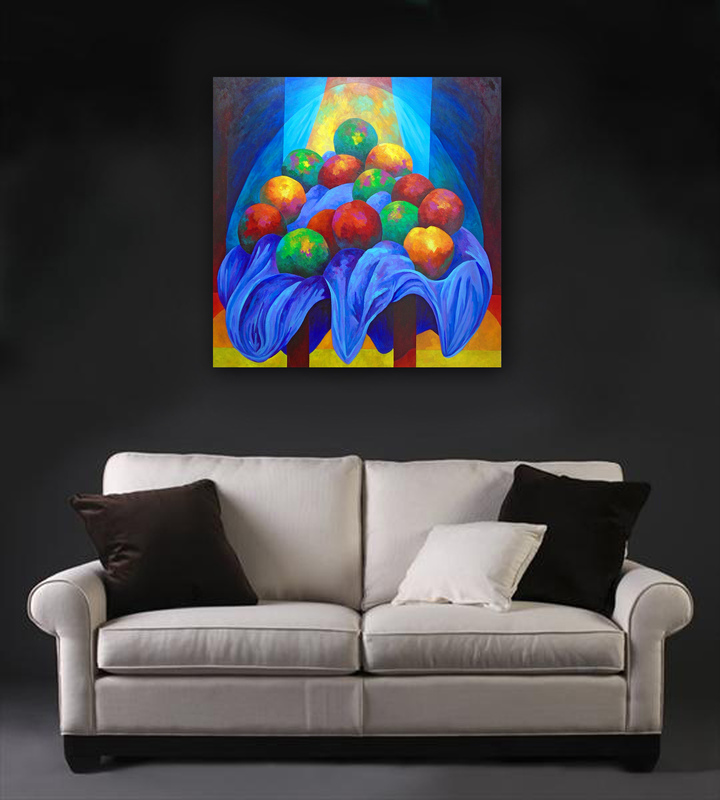 A vibrant, expressive picture that radiates warm light and colour. 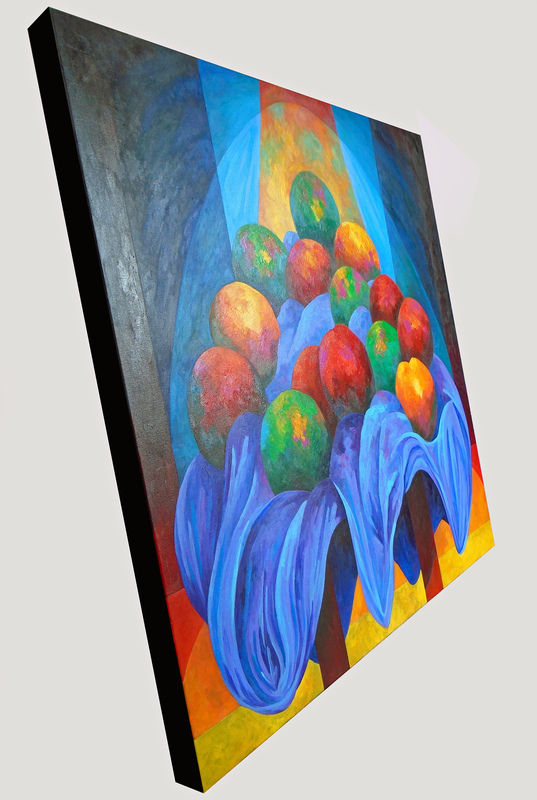 The deep edged canvas is stretched and ready to hang – sides are painted black. The painting is signed and dated on the side and a certificate of authenticity will also be sent with it. 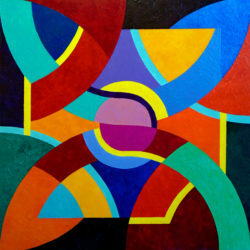 My work is an eclectic mix of paper mosaics, paper cutouts, oil and acrylic paintings, all on canvas. 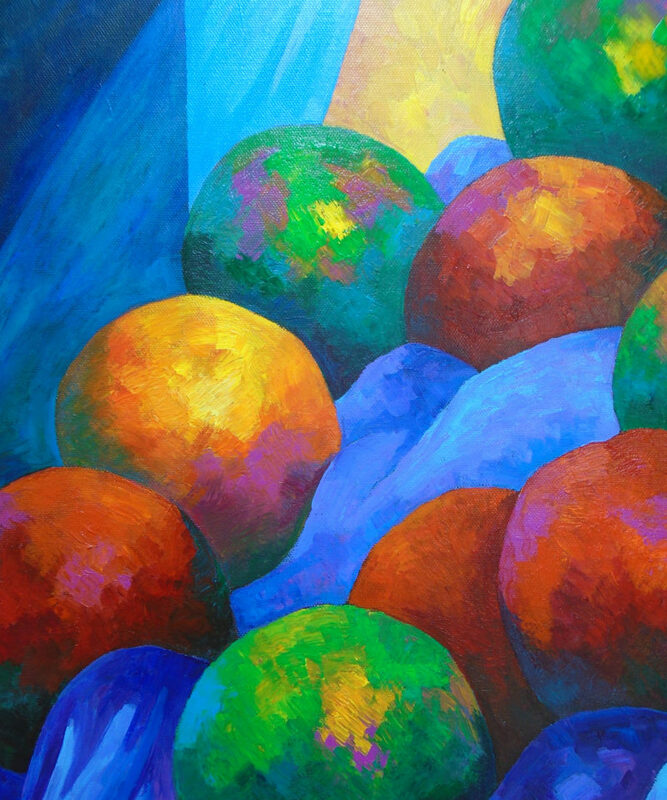 My subject matter is equally wide ranging, including nudes, often inspired by classical subject matter, geometric abstracts inspired by a love of music and astronomy, and still lifes. 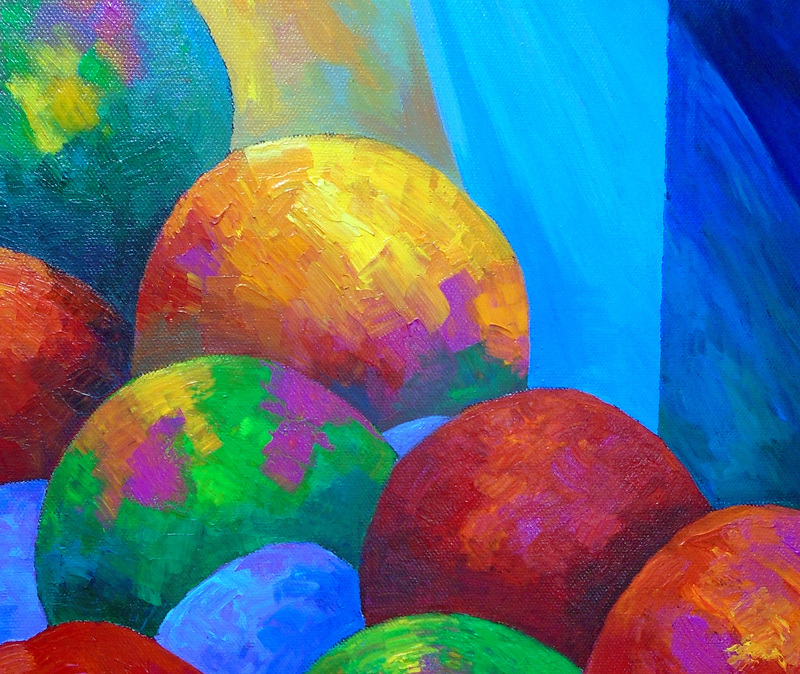 Throughout all of my work there exists the core elements of vibrant colour, bold shapes and strong composition. 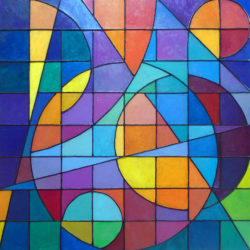 Artists that inspire my work include Picasso, Matisse, Kandinsky and Cezanne to name but a few. All of my pieces are produced to a very high standard with only top grade materials used. 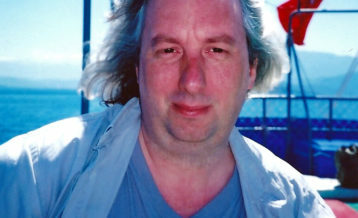 Please do not hesitate to contact me if you require further information about my work or wish to discuss a commission. Also, please request a quote for postage to non-UK destinations. Thank you for looking at my work.